Who doesn’t like to hunt monsters after a long week of work?! 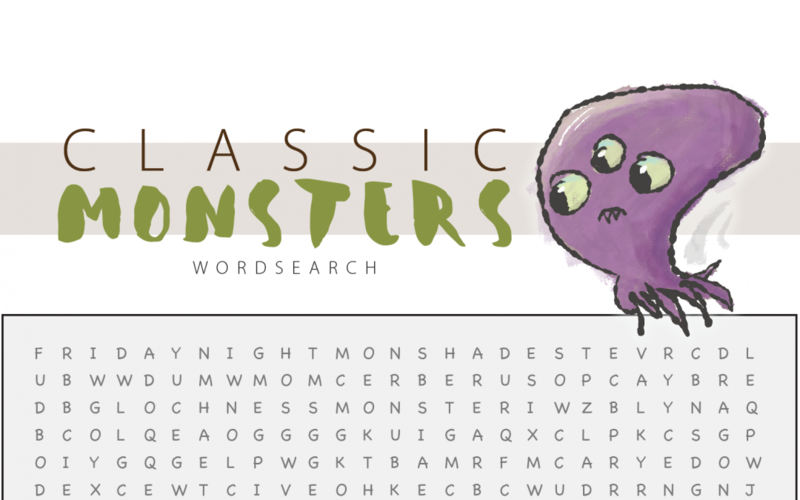 Okay, you don’t have to wait to join a Friday Night Monster Club to hunt down these classic monsters found in this PDF word search. Feel free to download this, print it out, share it with your kids, your friends, your enemies, your frenemies, or even your classroom–hint, hint–and have some fun! Hey, it gives you something to do while heading out to your in-laws for Christmas. Unless of course, you’re driving or one of those that barfs if you don’t look out the window… hmmm. You could print this out and leave it on the break table at work–see what your coworkers are made of. Looking for the answers? Don’t cheat!